Chris Turnbull lives near Ottawa, Ontario. Her poetry and other work have been published in Stroboscope, (parenthetical), Spiral Orb, ottawater, ditch, Dusie 10, and the ottawa poetry newsletter, among others. Her opti-surface piece, [ untitled ] is one of a trio (with work by angela rawlings and Heather Hermant, respectively) in o w n, published by CUE Books at the end of 2014. Her visual and multi-voice book continua will be published by Chaudiere Books in 2015. 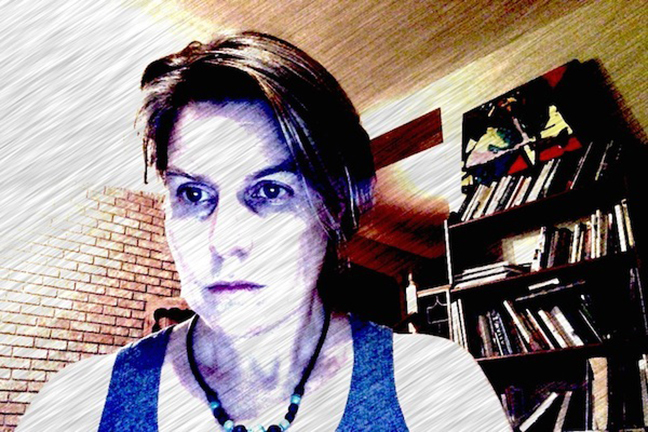 Thuja Press published her chapbook Shingles in 2001; above/ground press published a selection of continua in 2010. She installs poems on trails through rout/e, an ongoing foot press: http://etuor.wordpress.com. She handles brevity-thoughts at @ChrisCturnbul. Chris Turnbull is a contributor to Nerve Lantern issue 8.